Some emails have been doing rounds in the Internet informing the recipients that they have won some cash from a “Facebook Lottery”. 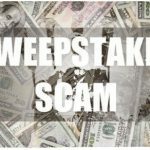 This is not the first time that this happened as, in the recent past, there have been several lottery scams camouflaged in an email from the founder of the popular social networking site. The emails try to net some unsuspecting recipient by informing them that they have won a million dollars from the fake lottery. They will later ask the recipients to send some cash in order to process their lottery winnings. 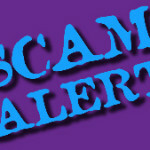 They often direct that the money should be sent via an untraceable payment method such as Western Union. 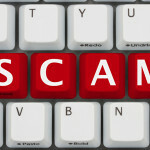 Additionally, the scam emails contain malicious software coded to steal personal information such as passwords from the recipients’ systems. Lottery players are urged not to open or forward any suspicious emails. You should only play the lottery at legitimate lottery sites. Below is a transcript of the email that can help you spot the Facebook Lottery scam email. “Subject: Confirm the receipt of this message!!! This is to inform the bearer that You have won the sum of $1,000,000.00 (One Million US Dollars) OUR 2011 SWEEPSTAKES (Facebook Inc.) This is a bonus to promote our users worldwide through this online lottery, which is fully based on electronic selection. We hereby approve you a lump sum of $1,000,000.00 (One Million US Dollars) in Cash Credit File – ILP/HW 47407/02 from the total cash prize for eight lucky winners in this category. Please quote your reference, batch and winning number which can be found on the top left corner of these notifications as well as your full name, address and telephone number to help locate your file easily. 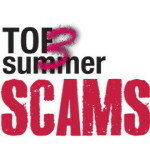 Top Summer Lottery Scams of 2014 – Fraudsters Never Have Vacations!